In what ways are you helping students to retain math concepts and skills they have been previously taught? What additional opportunities for instruction are you providing your struggling learners? 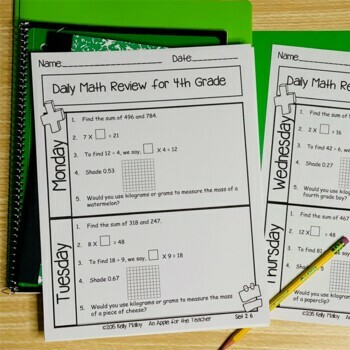 I have been using Daily Math Review in my classroom for the past five years, and I have to say that it has had the biggest impact on my math instruction by far! 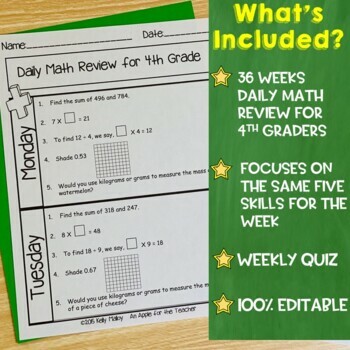 This resource includes 36 weeks of daily math review for fourth graders. 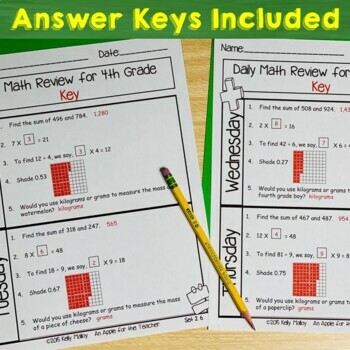 Included in each week are 5 problems for each day Monday - Thursday with a weekly quiz that includes 2 of each problem types for a total of 10 problems. 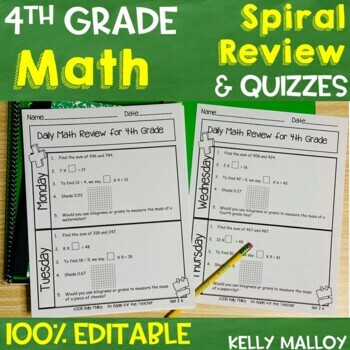 In addition to the already prepared math review pages, I have also included a fully editable version of the pages in PowerPoint so that you can customize to meet your students' needs. Be sure to download the preview to see everything that is included!